Bennie is a music executive and Sasha is his assistant. On the outside they are put together, but their inner thoughts reveal secrets and regrets. Bennie had dreams of being a rock star and Sasha once traveled through Europe like a leaf in the wind. How did their innocent and ambitious dreams of adolescence become the mundane scenes of adulthood? 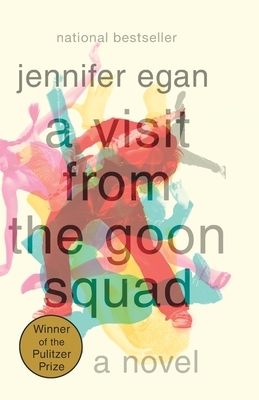 Jennifer Egan's a visit from the goon squad uncovers the truth behind their lives and the people who influence them. With a moving story and vibrant characters, I was hooked from the very beginning. Jennifer Egan is the author of four novels: A Visit from the Goon Squad, The Keep, Look at Me, The Invisible Circus; and the story collection Emerald City. Her stories have been published in The New Yorker, Harper’s Magazine, GQ, Zoetrope, All-Story, and Ploughshares, and her nonfiction appears frequently in The New York Times Magazine. She lives with her husband and sons in Brooklyn.